Planning the perfect scuba diving trip can be a stressful experience, especially for those under pressure to make the most of their precious time off. There are many different factors to consider – including choosing a destination, picking the optimum time to travel and packing in a way that won’t break the budget with airline overweight fees. 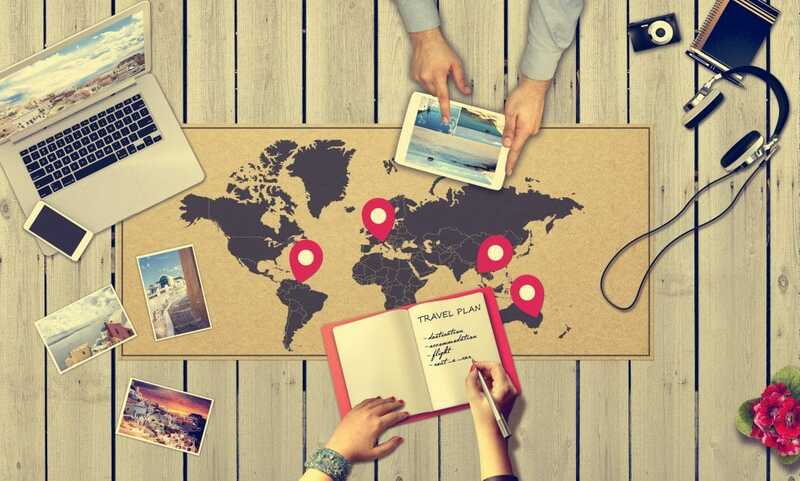 In this article, we outline five basic steps that will help you to simplify the planning process, so that your trip lives up to expectations from start to finish. Your first step should be to make a shortlist of appealing destinations. Start thinking about the kind of diving you want to do – for example, those interested in tec diving might dream of a trip to Malta; while wreck divers will find their version of paradise in places like Chuuk Lagoon or the North Carolina coast. If you want to dive with a particular marine species, you’ll need to choose your destination according to where that species is most prevalent. If you’re passionate about sharks, for example, French Polynesia is a much better bet than the overfished Mediterranean coast. If you plan on traveling with others, you need to consider their requirements, too. If you’re hoping to combine diving with a family vacation, proximity to child-friendly topside attractions is a must. If members of your group want to try diving for the first time, advanced sites like Costa Rica’s Cocos Island are inappropriate. Lastly, make sure to think about the practicalities. Your budget may render some destinations impossible, while visa and vaccination requirements make some countries more challenging than others. Once you’ve chosen your dream destination, take a moment to explore what kind of diving holidays are on offer in that area. If there’s more than one option available, you need to decide which is best suited to your needs. For example, a Bahamas liveaboard will allow you to see far more of the archipelago than shore-based diving on a single island. However, if the main purpose of your trip is to explore the underwater film sets off Nassau, a liveaboard trip may not give you sufficient time to discover all that that specific area has to offer. If you opt for shore-based diving, you also need to decide whether you want to stay at a dedicated dive resort (often a hassle-free option for families or dive clubs), or whether you prefer the independence of a conventional guesthouse or hotel. If you choose the latter option, make sure that there’s a trustworthy dive center within easy reach. Your next step is to figure out the best time to travel to your chosen destination. This may be dictated by seasonal conditions, including water temperature, visibility and swell (the latter being particularly relevant for liveaboard trips if you’re prone to seasickness). Topside weather is also a factor. For example, a trip to the Caribbean is far more likely to be disrupted by tropical storms during the annual June to November hurricane season than it is at any other time of year. If you have chosen a destination based especially on its marine life, you need to make sure that you travel at the best time to see your target species. While shark diving is possible in South Africa all year round, for example, tiger sharks are only present at Aliwal Shoal during the warmer summer months (that’s the southern hemisphere summer, of course). Many marine species are migratory, and you’ll need to time your trip carefully to catch them. First on your list of practicalities is transport. Maybe getting to your dream destination is as simple as refueling your car; but if you’re traveling overseas, you’ll need to start researching flights. Remote destinations usually only have one or two airlines to choose from, but if you find yourself with a wealth of options, consider investigating different luggage allowances and overweight charges (especially if you’re packing five underwater cameras, a drysuit, and a rebreather). Travel insurance is always advisable, particularly if you’re taking expensive equipment or visiting a country with astronomical private healthcare. Make sure to choose an insurance plan that covers scuba diving (many don’t), and be aware that trips to the United States often incur a higher premium. Next, you need to research which vaccinations, if any, are recommended for your destination. If you require malaria pills, ask your doctor which kind is best for diving. Visas are another important consideration and may need to be arranged several weeks in advance. Finally, you’re almost ready to depart! But before you go, you need to pack carefully to avoid unnecessary hassles along the way. Complying with airline weight restrictions can be an issue for divers. Calculate the expense of paying overweight fees versus the expense of hiring your equipment upon arrival, and leave your heavier items behind accordingly. Alternatively, if the idea of hiring doesn’t appeal, consider investing in a lightweight BCD and reg set designed especially for overseas travel. Don’t forget to pack easily overlooked dive essentials including spare mask and fin straps, spare camera batteries and o-rings. Non-diving essentials include adequate weather protection (think sunglasses and sunscreen); and a small first aid kit (especially important if you’re heading off the beaten track). Lastly, avoid heartbreak by packing your smaller, most expensive items in your hand luggage. Wrapping your suitcase is advised for trips to third world countries, while a TSA-approved lock is a must-have alternative for trips to the United States.